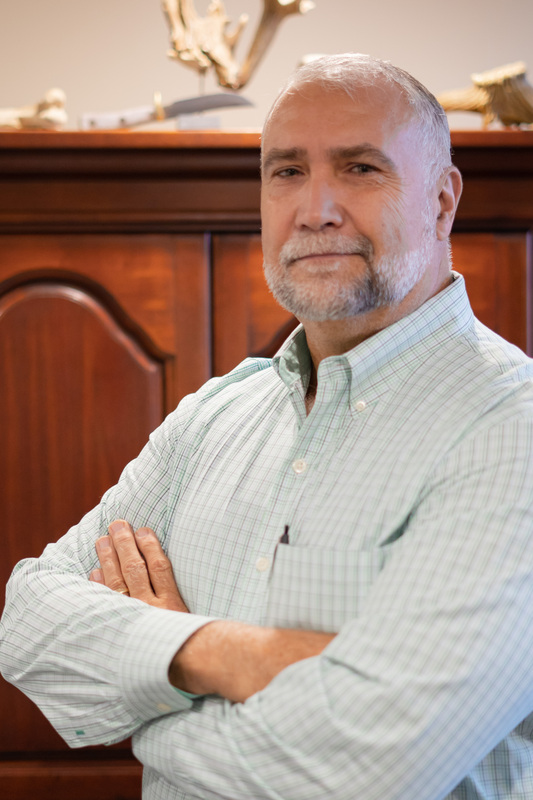 Our story begins when Mark Morris, a lifelong resident of Tulsa, and a staffing business owner from Colorado, opened the doors of Stand-By Personnel for the first time in 1994 in Tulsa, Oklahoma. In 2015, Mark and his wife Jackie bought out the Colorado partner and Stand-By Personnel truly became a Tulsa based company. Mark received his first introduction of what a temporary staffing company was all about from his mother, who worked for one of the largest staffing companies in Tulsa for many years. Mark initially started working as a temporary employee at the age of 15 and continued to do so throughout his college years. During this time, Mark developed the aspiration to want to help homeless individuals, individuals struggling to find work to better themselves, and the desire to help customers searching for workers to fill jobs. Mark welcomed the challenge to establish and build trustworthy relationships with both the clients and employees. He understood how important it was that the client trusted his judgement in filling the temporary position with the proper person, and also making sure that it was a good placement for the employee. In recent years, staffing businesses have been enlightened to the fact that the blue-collar worker has become a key driving force of future development in the country. This direction is not new to us as this is what Stand-By Personnel has concentrated and specialized in over the past 24 years. In 2017, Stand-By Personnel decided to expand into the Professional Staffing area in hopes for better integration and collaboration within Stand-By Personnel to achieve common goals. Stand-By Personnel currently has three departments –Skilled/Professional, Welding and Labor. The Stand-By Personnel Skilled Division specializes in the Industrial, Construction and Professional Industries, and are paid weekly. Our priority is to help individuals find jobs that match with what the customers are looking for and can develop into a temp-to-hire job. Stand-By Personnel interviews and takes applications from 7 A.M.to 3:30 P.M. Monday-Friday. Our hours of operation are from 7 A.M.to 5 P.M. During this time an individual can come in and apply for different jobs that have been posted through the Skilled Division. During this process, the applicant can also find out if they are qualified for any of the posted positions. It is feasible that the applicant then may be interviewed and possibly matched with a currently available job. If the applicant is hired, they will at that time be informed that they must work for that company, on that job, for 520 hours, before being eligible for a full-time position. Once that hourly or day requirement has been reached by the employee, they can then be considered for a “full time” position by the customer. Not all jobs through the Skilled Division offer a temp-to-hire position. Some of the jobs that are offered have “direct hire” employment opportunities. The Stand-By Personnel Welding Division specializes in the Welding Industry. The hours of operation are Monday-Friday, from 7 A.M.to 5 P.M. What makes Stand-By Personnel’s Welding Division unique is that we have an onsite, State Certified Weld testing facility. Here we are able to test and qualify workers per customer specs. Our Welding Division has six welding machines. Stand-By Personnel is fortunate to have an onsite Welding Master which gives the welder an opportunity to obtain one on one guidance when he/she is preparing, and getting ready for required tests that must be passed for the different Welding positions. The Welding Division pays weekly, and most of the positions offered through the Welding Division are temp-to-hire. This means that a person who is interested in a Welding position, depending on the customer, would work for 90 days as a temporary worker, and then could be hired on “Full-Time through the customer. However, the Welding Division also offers “direct hire” employment opportunities. Direct Hire is when a decision is made by the customer to hire an applicant immediately from Stand-By Personnel. The Stand-By Personnel Day Labor Division offers temporary employment. We offer those who need a ride to and from work every day an opportunity to work and receive daily pay. Applications are accepted Monday-Friday, from 7 A.M.to 2 P.M. It is a division offering our clients 24/7 operation and staff as needed. It specializes in high or low volume staffing for filling jobs quickly. For example, we fill orders for big events such as the State Fair and the BOK Center. In addition, we fill job orders at construction sites, recycling centers, or where disasters, such as tornadoes, floods and fires have happened within Tulsa and close surrounding cities. Stand-By Personnel does everything it can to make sure that our clients get what they need. When the workers arrive at Stand-By Personnel we communicate with them the objective and expectations of the job. They receive time ticket and safety equipment instructions required for this placement. Our Stand-By Personnel staff makes sure that we are confident in confirming that the workers are ready to put in a good day’s work. The workers are then transported on one of Stand-By Personnel’s six vans or two buses to make sure they show up on time. We do our best to complete each of our client’s orders with workers that will satisfy their request along with the correct safety equipment and tools. Stand-By Personnel over the past 24 years, has been faced with challenges, however, those obstacles gave us the inspiration to become stronger, and attain confidence in Stand-By Personnel’s success. We are very proud of our business recognitions and memberships of many different associations such as Broken Arrow Chamber, Chamber of Sand Springs, Tulsa Chamber of Commerce, Oklahoma State Chamber of Commerce, American Staffing Association, and the Association of Builders and Contractors. Stand-By Personnel continuously searches for ways to grow and improve the business. We make an effort to look at our company’s strengths and weaknesses frequently to determine where we need to make adjustments to enhance our productivity. We explore better ways to build strong relationships with new customers, as well as staying loyal to our established ones that have been nurtured and developed over time. We strive to acquire good companies to place employees in a “hired on” position, to assist fast-growing companies in filling needed jobs, and at the same time assisting individuals in finding jobs and positions matching their desires. 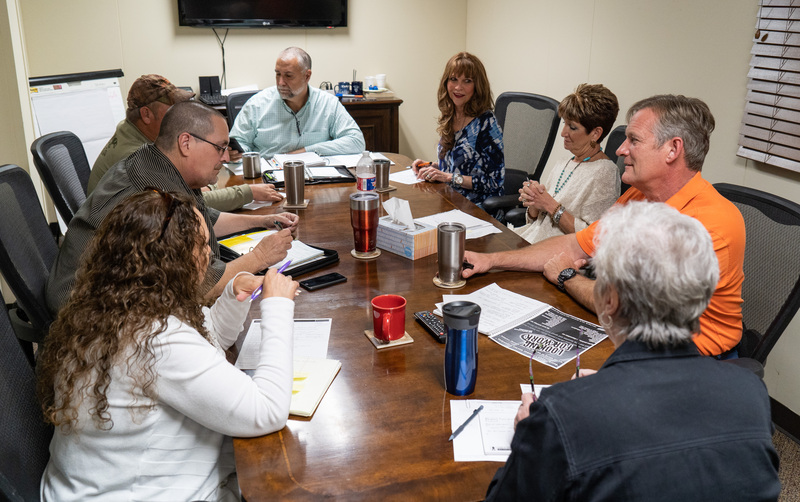 Stand-By Personnel is very blessed to have a staff that is loyal, trustworthy, innovative, and dedicated to making Stand-By Personnel one of the best staffing businesses in Oklahoma. Many of our managers have been with Stand-By Personnel for nearly 25 years, and others for 10 years or longer. Our staff are experts at what they do and know their job well. At Stand-By Personnel, it is important to us that we go above and beyond our client’s expectations so that they know they are our primary concern. Taking the time to understand and know about our clients and their business makes us more aware of how to best serve them. Our staff believes that working together as a team, along with a positive attitude, and respect for all, contributes to the formula to be successful.